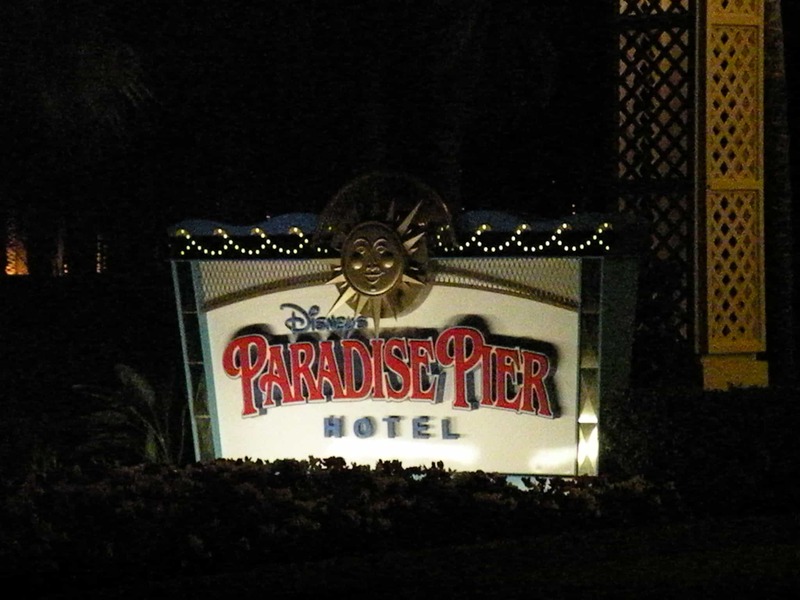 When the cab pulled up to the Paradise Pier Hotel, we were so excited to be there. I kept looking at my watch, thinking that we could get to Magic Mornings. I had booked a Concierge level theme park view room with our annual pass discount because Charlie and I had figured that the savings of most breakfasts in the lounge and the bottles of water from the lounge would make up for the difference in price. We were sent straight up to the lounge to check in. 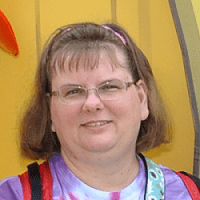 The cast member directed the kids toward the breakfast offerings, and I sat down at the desk. He soon came over and took my information. After staring at his computer for a moment, he looked up and said that our room was not ready, yet. I really hadn’t expected it to be. He then said that we had been upgraded. This is where my heart skipped a beat. 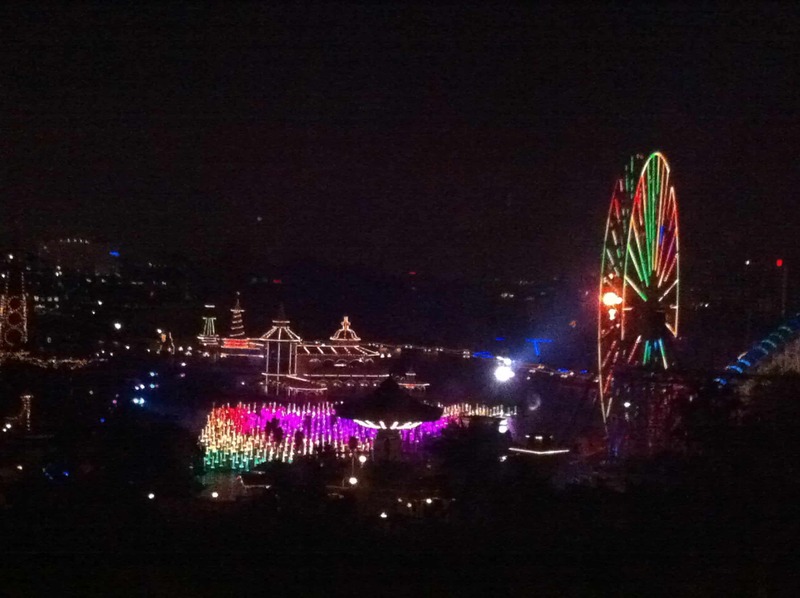 What could be better than theme park view? He said that we were in a Family Suite with a view of the lagoon. Sounded good to me! I thanked him, got my room keys, and got the kids together to head to the park. Unfortunately, I wasn’t entirely prepared to go to the parks so early. I had to stop back by Bell Services and get the kids’ autograph books, pins, and backpacks out of a suitcase. Here is where I majorly messed up. I was getting ready to leave our coats with the suitcases when a well-meaning cast member told me that it was supposed to be cool that day. I should have remembered that cool to him was HOT to us. We ended up wearing our winter coats around our waists most of the day. Off we headed to Disneyland. We walked through the Grand California Hotel and made it to the bag check stand before it opened. We were actually first in line at our turn style. Note: This was one of the few times that we have ever made it to Magic Morning opening and rarely have we ever been first in line. We met with a few characters before heading to Fantasyland. We rode Peter Pan, Dumbo, Mad Tea Party, and Alice in Wonderland. DD11 wanted to go on Mr. Toad’s Wild Ride, but DS7 refused to go. His sensory processing has seemed to worsen since the last trip, so I began to see that this trip might be interesting, to say the least. We decided to go on Buzz and then got a churro. By this time, DS7 was getting unmanageable, so we decided to take the Monorail to Downtown Disney for lunch. The first suggestion was Rainforest Cafe. As we entered, I could tell that DS7 was not going to be able to tolerate the thunder, so we went to ESPN. After lunch, I called the hotel to see if our room was ready, but it was not. Since DS7 was not in the mood to go on anything in the least bit scary, we headed to Disney California Adventure. We rode Monsters Inc, Heimlich’s Chew Chew Train, and Toy Story Midway Mania. At this point, the kids were really starting to get tired, so we headed back to the Paradise Pier Hotel. Our room was ready, so we moved in. Our suite had 2 bathrooms, 2 queen-sized beds, a table with 4 chairs, a sectional sofa, refrigerator/microwave, and 2 televisions. There were 2 windows: one in the living area and one in the bedroom. I can’t even begin to describe the view. It was breath taking, and my pictures don’t even begin to do it justice! We watched World of Color that night, and it was just amazing! The view was from the back, so the animated projections are not visible. I actually think that the back view is more beautiful than the view from the front. The picture below was taken just after the show ended. The colors rotate on both Mickey’s Fun Wheel and the fountains below. From our room, we could see the individual fountains through the entire show. World of Color from our room.